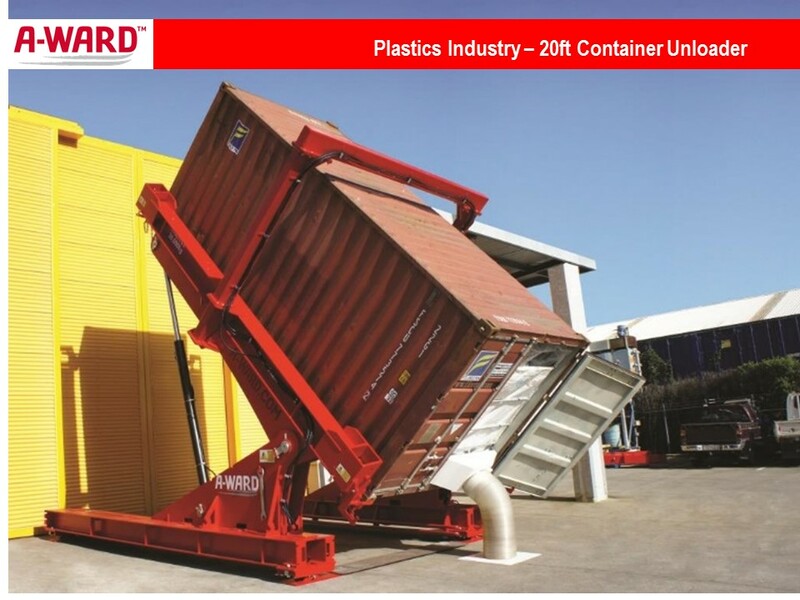 A-Ward – Foremost Machine Builders, Inc.
To transfer the load, the truck reverses and the shipping container encapsulates the loading chamber until it reaches the end. 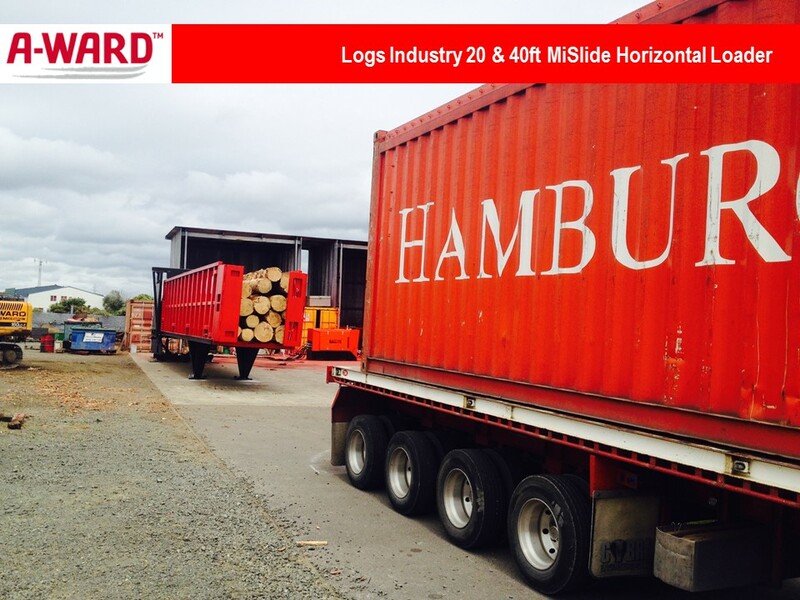 MiTiltTM has reshaped the way the world handles bulk materials. 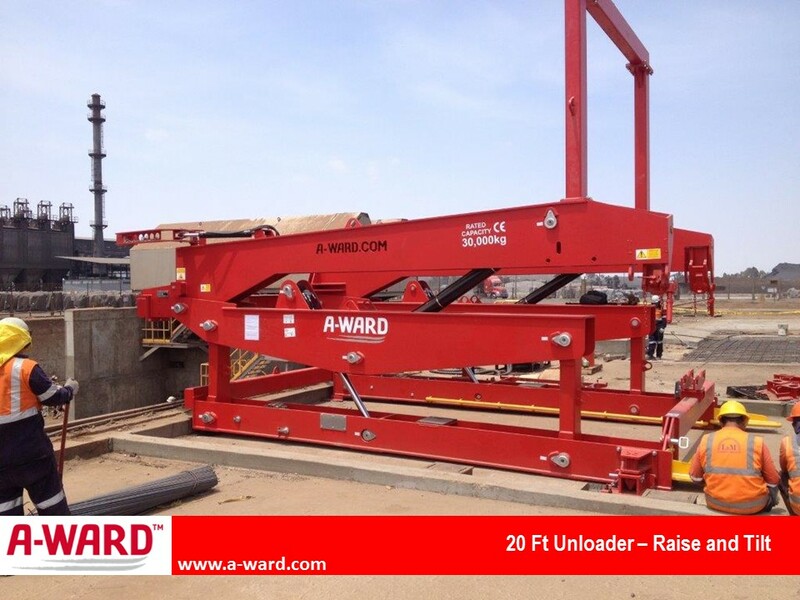 A-Ward’s revolutionary tilting container loader allows you to fill up every last inch – and do it faster- using the power of gravity. The MiTiltTM unloader tilts up to a maximum unloading angle of 70 degree, with a 90 degree option available if required. They work in a similar way as our MiTiltTMloaders.